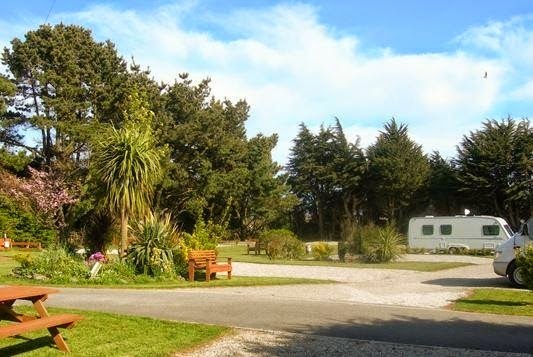 Killiwerris Touring Park in Chacewater is a beautiful and relaxing touring caravan park that is an adult only retreat. Set in the heart of Cornwall Killwerris is ideally located for visiting the city of Truro and the village of St Agnes. Truro has wide ranging shopping facilities offering a great diversity of goods. We have pitches for up to 20 touring units, sixteen of which are gravel hard standing. All pitches have electric and fresh water connection; the hard standing pitches all have individual grey waste water drains. Our purpose built shower/amenity building provides stylish and spacious wet room style facilities for our guests, together with privacy rooms in both the gents, ladies and disabled areas. Unlimited free hot water is provided along with electric shaver points, hair and hand dryers. Perranporth and Newquay are only a short drive away and both have excellent sandy beaches. We are just 12 miles from the South Coast resort of Falmouth, which is the home of the highly acclaimed Maritime Museum.